PRESIDENT of Venezuela's National Assembly, Juan Guaido, has declared himself interim President of the country, in direct challenge to incumbent Nicolas Maduro. Guaido has encouraged those opposed to Maduro’s regime to come out and show their dissent in a mass protest today. Opposition activists in Trinidad have also organised a demonstration around the Queen’s Park Savannah today, a short distance from the Venezuelan Embassy. Guaido is the head of the opposition-run National Assembly, Venezuela’s legislature. According to Venezuela’s Constitution, if there is not a legally elected president, the National Assemble president will assume that role in the interim. 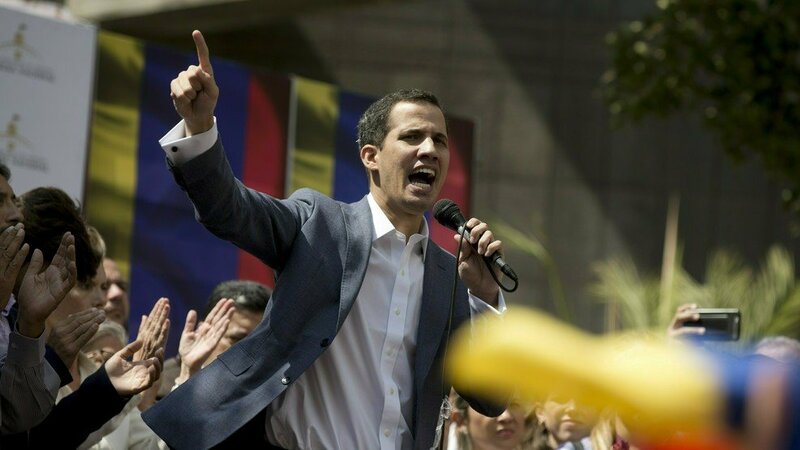 Guaido, who was sworn in to his position on January 5, had openly challenged the legitimacy of Maduro and said he would be willing to assume the presidency on an interim basis until elections are called. Earlier this month, Guaido was apprehended by Venezuelan intelligence officers en route to a rally but was released shortly after. Two intelligence officers were arrested for the detention. Maduro won Venezuela’s presidential election last May with 67 per cent of the vote, although voter turnout was less than half those registered. Election watchdog groups in Venezuela and abroad suggested evidence of fraud during the electoral process, and the majority Opposition refused to participate, all but guaranteeing Maduro’s party, the United Socialist Party of Venezuela, the win. The UN Human Rights Commission said the vote “does not in any way fulfill minimal conditions for free and credible elections.” Most western countries do not recognise the legitimacy of government, nor does Venezuela’s legislature, the National Assembly, which is made up primarily of Maduro’s political opponents. In a special meeting on Thursday, the Permanent Council of the Organisation of American States (OAS) voted “to not recognise the legitimacy of Nicolas Maduro's new term." He was sworn in on January 19, and while most of the world refused to acknowledge the legitimacy of his presidency, including the US, the EU, Australia and several of Venezuela’s South American neighbours, Foreign and Caricom Affairs Minister Dennis Moses attended the inauguration as an official representative of the TT government. Today, US vice president reiterated his president’s stance, saying in a tweet, “The US recognizes Juan Guaido’s courageous decision to assume the role of Interim President per Venezuela’s Constitution Article 233. We support (the National Assembly) and their efforts to establish a transitional government and prepare Venezuela for free and fair elections,” he said. Reply to "Venezuela’s Guaido declared himself President with US support"